CleanMetrics now offers an integrated carbon footprint solution for the packaging industry. Using our standards-based life-cycle inventory database and our life-cycle assessment software tools, we can provide reliable and high-quality life-cycle carbon footprint assessments for all packaging products, materials and configurations. 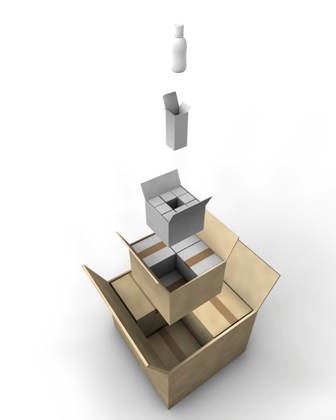 Packaging is obviously required to protect virtually all products in transit and storage until they reach consumers. But most of us have routinely experienced over-packaged products and the inefficient use of packaging materials is an area that is ripe for optimization. Recycling rates have generally plateaued in most countries, and in any case end-of-life recycling alone cannot move us toward sustainable packaging. Packaging systems must be designed with care, using the least amount of materials/energy, maximizing recycled content, and increasing the potential for reuse. Understanding the full life-cycle of these systems is critical for optimizing their environmental performance. A life-cycle carbon footprint analysis of packaging systems -- for both consumer and industrial products -- is a crucial analytical tool that can help advance the cause of sustainable packaging. What are Packaging Carbon Footprints? The carbon footprint of a packaging system is the total amount of carbon dioxide carbon dioxide (CO2) and other greenhouse gases emitted over the life cycle of that product or service, expressed as kilograms of CO2 equivalents. This includes all greenhouse gases generated in the manufacture of the raw materials, fabrication of the packaging system, transport of materials and finished systems, the use phase including refurbishment and reuse, and end-of-life disposal. This carbon footprint is often included in the analysis of the larger product system that uses the packaging, but it can also be seen as a distinct environmental performance metric that can be calculated and optimized separately. At CleanMetrics, we have worked on a broad range of commercial projects related to packaging materials and systems, using life-cycle methods and focused on carbon footprints. 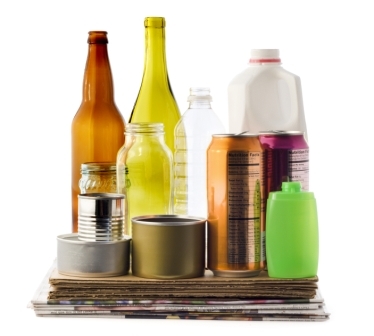 Our work has routinely included analyses of consumer product packaging, bulk product containers/packages and secondary packaging configurations that are produced using a range of virgin, recycled and biodegradable materials -- including scenarios such as refurbishment, reuse, recycling, and other end-of-life disposal. We understand that packaging systems are more than just the materials used -- they are systems, with their own life-cycle characteristics that must be modeled correctly. Our mission is to help your business address the challenge of sustainable packaging with the best collection of tools, data and expertise. Full range of virgin and recycled materials used in packaging systems -- including all types of plastics, glass, metals, fabrics, cardboard and paper, as well as biodegradable fibers such as corn-based Ingeo and sugarcane-based bagasse. Transportation, warehousing, fuels, and electricity by grid regions. All common waste disposal methods -- such as landfill, incineration, compost, reuse and recycling -- including energy recovery options. The database is fully integrated with our life-cycle assessment software tools and can be easily customized for your specific application. We are continually adding data for more products/processes to the database. We also offer a low-cost rapid research option to add data for specific products or processes that you may need for your application. We offer a range of solutions depending on your needs and in-house expertise. For organizations with internal expertise in life-cycle assessment and product carbon footprints, we can license our software products with integrated life-cycle inventory database. We can also license our database separately if you have other means of performing the analyses. For organizations that are looking for a turn-key solution, we can use our software tools, database and technical expertise to provide a complete end-to-end solution and deliver analytical results tailored for your specific business needs. Provide consumer information such as product carbon labels or purchasing guides. Provide investor information such as corporate environmental reports. Identify hot spots in your supply and delivery chain, and make your product/service more carbon efficient on a life-cycle basis.